2nd City Council Art Gallery in Long Beach, California has announced a call for photographers to enter submissions to the upcoming show titled “Photography: Impact of a Medium”. The show is open to artists working with Film, Digital and Manipulated Images. Robbert Flick is a photographer and Professor of Fine Arts at the University of Southern California. Flick grew up in Amersfoort, Holland and studied at the University of British Columbia at Vancouver. He received his M.F.A. from the University of California, Los Angeles He has exhibited work all over the world, with shows at LACMA, the Hammer Museum, and the Getty Research Institute in Los Angeles, SFMOMA in San Francisco, the National Museum of American Art and the Smithsonian Institution in Washington D.C., Deightor Hallen in Hamburg, Vancouver Art Gallery in Vancouver, and Min Gallery in Tokyo. Flick’s work is in a number of public collections as well. He has received a John Simon Guggenheim Foundation Fellowship, a National Endowment for the Arts grant, a COLA (City of Los Angeles) individual artist grant, and a Getty Scholarship. Entries Received by Sunday, January 10, 2010 no later than midnight. Art delivery on Monday, February 15, 2010 from 5:00 – 8:00 p.m. & Tuesday, February 16, 2010 from 9:30 a.m. – 12:30 p.m.
Artists’ Reception on Saturday, February 27, 2010 from 7 – 9 p.m.
Art pick-Up Wednesday, March 24 from 5 – 8 p.m. & Thursday, March 25 from 9:30 a.m. – 12:30 p.m. 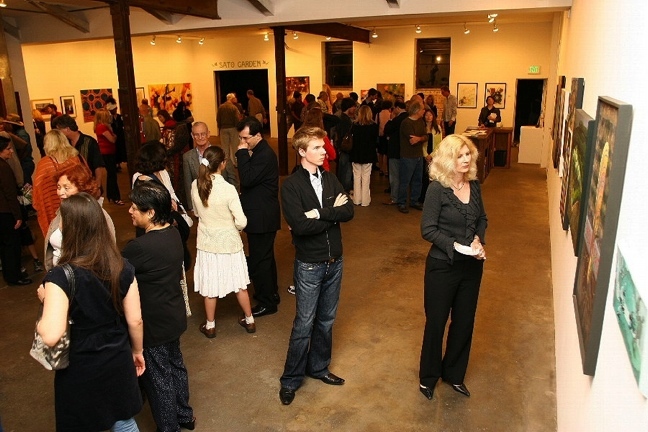 This exhibition is open to all artists living in the United States. Film, digital and manipulated film/digital images accepted. Please do not enter work previously shown at 2cc. Questions? Please e-mail 2ndcitycouncil@earthlink.net or (562) 901-0997. 2cc accepts emailed images as well as slides, photographs and digital prints. Please email images to 2ndcitycouncil@earthlink.net Please mail the entry form and fee. Please mark slides with your name. PLEASE make sure all other info is listed on the entry form. Photographs or digital prints should be no smaller than 5 x 7” and no larger than 8.5 x 11 (no size restriction on actual work). Slides and prints of accepted pieces will be returned when the exhibition closes. Please include a SASE. There is a $10 fee per entry for members and $20 entry fee per slide for non-members. No fee for 3D detail slides (2 detail slides per artwork). Please make checks/money orders payable to 2cc. PayPal available on website. Entry fees are non-refundable. If mailing entries please form, entries and fees to: 2nd City Council, P.O. Box 90503, Long Beach, CA 90809. You can visit the web site at http://www.2ndcitycouncil.org/ for additional details.